Series producer Bruce Helford also shared that Whitney Cummings will be leaving her co-showrunner position for the upcoming season. 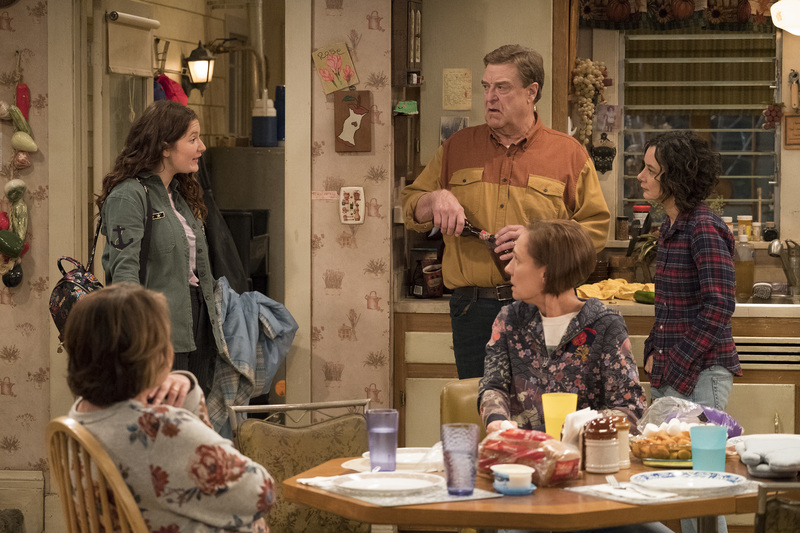 The future story of “Roseanne” is literally yet to be written, but executive producer Bruce Helford told reporters Friday morning that there’s still a place for the Conner’s next-door Muslim neighbors. On a media call Friday morning, Helford explained that the Al-Harazi family featured in the reboot’s “Go Cubs” episode is in the show’s plans for next season. “We haven’t started breaking stories or anything else. We want to bring the Al-Harazis back. We definitely want them to return. They’re their neighbors. They live right next door, so we definitely want to see more of them,” Helford said. In response to news from upfronts this past week that the show might de-emphasize its political strains, Helford explained that “Roseanne” had no immediate plans to avoid social issues. As far as additional changes in the series, Helford said that he wanted “Roseanne” to reflect more of the changing demographics in the area outside Chicago where the show takes place. Drawing on the city of Elgin as a model, this next season will bring more Hispanic characters into the Conners’ story. Helford was unsure whether EP Whitney Cummings will be returning to the writing staff, but he conceded that he would be the series’ sole showrunner going forward. Helford unveiled some of the show’s new additions to the writers room, which he says will be convening for the first time at the end of the month. “We have added voices. Some of the new writers coming on: Ali Liebegott, who was on ‘Transparent’ is joining us…Wanda Sykes is coming back, Norm MacDonald is coming back,” Helford said. Jena Friedman will also be joining the room, per Helford. Addressing the show’s controversial “They’re just like us” joke from earlier in the season, Helford reiterated that the joke was not meant to cause offense. “It was not intended to be dismissive or reductive or anything like that. It was simply a nod to the other shows. For me, it was about how we all try to find a commonality to make any show that’s about a specific ethnicity inclusive to all ethnicities so that we do our jobs as broadcasters and reach a wide number of people. So, whether the show is about an Asian family or an African-American family or about a white family, we all try to make these shows inclusive,” Helford said. With production on the upcoming season beginning soon, Helford said that the attention to the show is something that he is now very much aware of, especially on the joke-by-joke level.